A brief-ish history lesson on where 124 has been and where we’re going. You know the itch you get (often seasonally) to change out the art in your home, or paint an accent wall, or maybe just buy a new coat in a bold color? WE DO. Over the last 28 years, 124 has seen a few minimal changes to its logo and branding. The mission has always been clear, to elevate the beauty industry and the communities we serve; however, we’re a bunch of creative individuals and in 2016 we thought it was time for a change. So what did we do? We started pulling together every graphic, font and image we ever loved and began the mission to upgrade our branding and tell the story of 124 — it was quite a story. Few longtime clients and team members knew, but many did not. The story started in 1991 when our founders, Brian and Karen Perdue, first sought out to build a salon where stylists could grow and develop their technical and business skillsets and where guests could enjoy elevated customer service and quality hair. After the launch of the flagship Salon 124, the Perdue’s quickly realized guests seeking professional salon services weren’t the only people flocking to their business. Future hairstylists promptly realized the business Salon 124 created was one they wanted to join. An apprenticeship program rapidly became the path taken to start a career as a highly-trained hairdresser in Gwinnett County. But where would all of the newly-licensed stylists start their journeys? Well, like every good story, it started in the beginning, thus came Genesis. 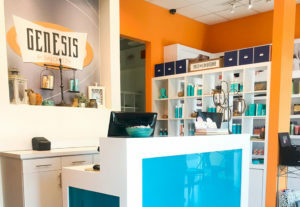 Genesis Salon by 124 first emerged in 1996 as a fresh, energetic concept where the newest trained artists of Salon 124’s apprenticeship program hit the floor providing guests quality hair (under the mentorship of seasoned Salon 124 hairdressers) at modest price points. 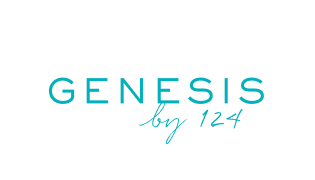 Genesis by 124 rapidly grew to four salon locations throughout Gwinnett, serving thousands of clients and being recognized both locally and nationally as a Salon of Distinction. 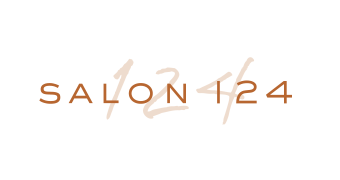 Once it was clear Salon 124 and Genesis Salons had a knack for salon education, the next logical step in the business was to create a more formal certification system able to withstand the demand for cosmetology curriculum. 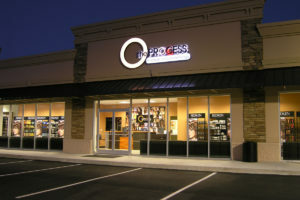 In 2006, The Process Institute of Cosmetology, now known as Keune Academy by 124, opened its doors as the first accredited hair design school in the state of Georgia. Since then, more than 1,000 students have come through the doors and left as ambitious hair stylists ready to take on the world of beauty. 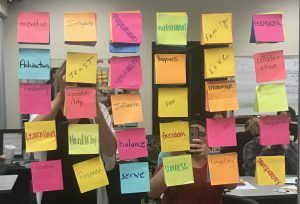 It was important to keep a clear vision of our core values and mission in mind. purposefulness, innovation, integrity, fulfillment, teamwork and perhaps most importantly, family. What briefly began as a simple hashtag on social media, soon became exactly what we were missing. A comprehensive, all-inclusive visual to bring it all together. So what is 124 Fam? Exactly what it sounds like and a bit more. 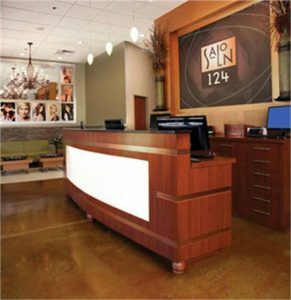 The 124 Family is more than just the four Genesis by 124 salons, two Salon 124s and our premier cosmetology school, Keune Academy by 124. It is the 250 employees and dozens of mentors and educators that show up everyday. It is all of you reading this now. And it’s the more than 15,000 clients all over the Greater Atlanta Area that we serve every day. That servant leadership is what makes #124FAM. The idea that any of this would be possible without our communities is preposterous. Without you, there is no us. There is no 124. The text overlays for all three emblems are simple, modern and crisp, sure to take us on for the next 28 years of business and more. Over the last six months you’ve probably seen some of these updates. Another key piece you will notice is our imagery. No longer are reliant on major haircare manufacturers to provide us with perfectly photoshopped model imagery and product shots. We do that in-house now. And why would we? We believe we have over 130 of the most talented hair stylists in the state, country, dare we even say world, and we love to showcase their work and elevate their individual brands. Each one is special in their own way. If you’re lucky you know a few yourself and follow their successes online. You’ve watched them grow from students at the academy, and many of you have followed them for years as they develop their personal and professional skills. You may have seen them achieve new certifications, marry and even start families, and that is why they are, you are and WE are 124FAM. Thank you for your continued support and trust in our business, and thank you for being a part of the 124 Family.